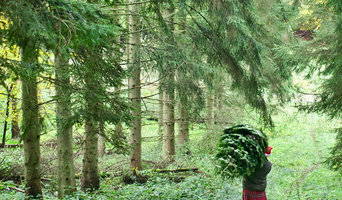 Make Christmas simple this year with the help of Pines and Needles, Britain’s number one Christmas tree seller. The company’s array of products and services is completely designed to let you sit back and celebrate Christmas in the most relaxing way possible. Every type of tree is available in every size imaginable - from mini potted trees up to giant Nordmann firs or a Traditional Spruce. Even the company’s artificial selection needs to be seen to be believed. Offering dedicated delivery time-slots, easy installation, full decoration services and even a removal and recycling option, Pines and Needles has won an army of admirers across London and even the rest of the UK with their nationwide delivery. Founded 21 years ago by brothers Sam and Josh Lyle, customer service is king. Said Sam: “Christmas is a time for celebration, a time for family and a time for relaxing. We want to continue that theme with everything we do - making life as straight forward for our customers as possible. 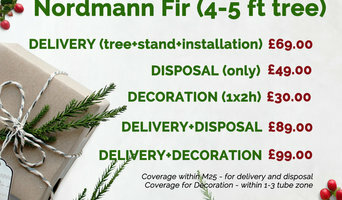 “Whether it’s a late night delivery or a customer wants us to use their decorations and have everything ready for when they get home from work, our range of services is designed to take the stress away.” Available online and at more than 25 stores across the South East, Pines and Needles offers the complete festive experience. Red Squirrel Tree Surgery operate in and around West, North West and South West London. We are a team of trained and experienced professional tree surgeons who take pride in our work. We offer a variety of tree surgery services including crown reduction, stump grinding, tree reductions, tree pruning, ivy removal, hedge trimming, tree lighting and tree swing services. In addition, Red Squirrel also provide a 24 hour emergency tree work service, should your tree become damaged or dangerous following a storm or unusual weather. Whatever tree service you need, you can relax in the knowledge that the work will be assessed and carried out by a professional company. Red Squirrel hold all the experience, qualifications and understanding that any situation may require. For trees and people to co-exist in an urban environment, trees need regular upkeep. We assess each job individually to advise the best approach for your situation. This may be a tree reduction and pruning or complete tree removal with stump grinding. We can also give advice on tree planting, if you decide a new tree would be a good addition to your garden. Red Squirrel cover all areas of London, including Ealing, Acton, Hammersmith, Chelsea, Kensington, Chiswick, Putney, Wimbledon and Richmond. We now also cover Watford and surrounding areas. So if you are looking for a tree surgeon in Watford, Ruislip, Harrow or Pinner, we are here to help. Darwin Tree Services are qualified arborists providing professional tree surgery and arboricultural services in Bromley and South London. We strive to provide high quality tree services in a safe, efficient and friendly manner, and to manage trees responsibly. We recycle as much of our waste as possible. Free quotes available. Microbee provides expert tree surgery services to homeowners, businesses and landlords. We're a cheerful and hard-working company with happy customers. Our Tree Surgeons are fully qualified and insured to carry out services including crown lifts and reductions, tree dismantling and removal, or planting. GraftinGardeners is a company of professional arborists operating in South West London and all surrounding areas. Our teams are friendly, highly experienced and offer a competitive service along with free quotations. Our tree specialists have been working in the arboricultural industry for over 10 years and have unrivalled experience when it comes to tree maintenance. All tree pruning works are carried out to British Standards (BS3998), ensuring healthy and well balanced trees after each and every job. We tackle the trickiest and most dangerous tree works and are fully equipped for all jobs presented to us and have all the latest tree surgery equipment such as wood chippers, stump grinders and chainsaws. We have four teams in our company which consist of climbers and groundsmen, all qualified with NPTC certifications. Each team member is insured for up to £5 million with our public liability insurance, giving customers peace of mind when hiring our tree surgeons. Tree Surgeons Wimbledon provides a bespoke tree surgery service to residents of Wimbledon and surrounding areas. We have been providing top quality tree care and maintenance for the past 8 years and our experience is unrivalled, making us one of the top tree surgery firms in South West London. 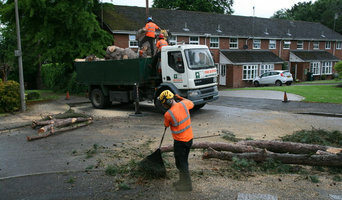 Our service is highly competitive and all tree works are carried out to (BS3998) specifications. We also hold a £5 million public liability insurance policy, as well as public indemnity and employer’s liability. We have the most up to date tree surgery equipment and can tackle the biggest job with ease. All members of field staff (arborists and groundsmen) are trained and qualified to NPTC standards, so you can be confident you picked the right team. 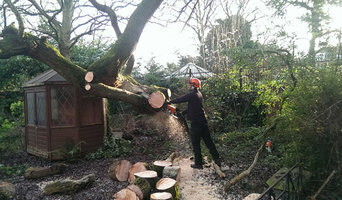 South West London Tree Surgeons is a company of professionals and specialises in all aspects of tree surgery for both residential and commercial purposes. We are fully insured, qualified and equipped to undertake the most complex tree surgery works and can supply all your arboricultural requirements. Here at Brentwood Tree Care we are committed to providing a professional, efficient and reliable service for both commercial and domestic clients covering all aspects of tree surgery throughout Essex. Trees are generally sturdier than their smaller plant relations, but they still need care and maintenance to stay in good and healthy condition. If you have one or more trees on your property, you may need to consider hiring Biggin Hill, Kent tree surgeons or other tree services to help you keep them looking their best. Basic tree surgery involves pruning trees that have overgrown; cutting down branches that are dangerous or growing too high, far or wide; or shaping the whole tree. 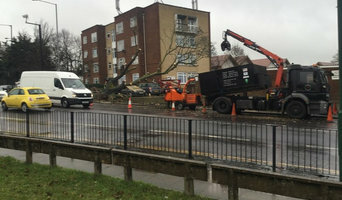 However, many tree surgeons in Biggin Hill, Kent can carry out a number of other tree services, including tree planting, felling whole trees, trimming hedges or large plants, tree stump removal and even installing tree lights. Arborists will be more technically trained and can diagnose tree diseases as well as advising on how best to prune and maintain your trees. Unfortunately, trees don’t grow overnight but instead need a bit of lasting care and attention. To make sure they get the best start, ask a Biggin Hill, Kent tree surgeon if they will carry out tree planting for you and give you advice on how to look after your new saplings. Arborists should definitely be able to do this, and most tree surgeons will too, but not necessarily so it’s always best to check before on the exact tree services they offer. Arborists will also be able to advise you on where to plant your trees and whether you have the suitable ground soil for them. Whatever your tree care problem, you can find Biggin Hill, Kent tree surgeons and more tree services on Houzz to help you. If you’re planning on landscaping your garden as well as adding some trees, then you should talk to gardening professionals at the same time as tree surgery specialists. Here are some related professionals and vendors to complement the work of tree services: Landscape Contractors, Landscape Architects & Garden Designers, Garden & Landscape Supplies. Find tree service professionals on Houzz. Look in the Professionals section under Biggin Hill, Kent tree services. You can look through arborists’ and tree surgeons’ portfolios and read reviews to see what past clients have to say.